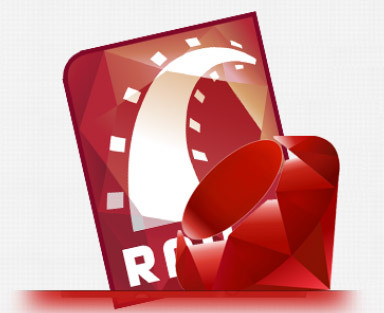 With our team of savvier ROR developers at Adaptative, we look forward to offer you Ruby on Rails development solutions that holistically work on most agile methodologies as well as provide you with support for application hosting and maintenance along with monitoring the performance of the app that we build for you. Whatever industry you belong to, we always have a solution for you and offer to make all your processes simplified and most effective at the same time keeping your costs low and yet offering only the best of the development services. Why we Recommend ROR to you? Who doesn't want a quicker, easier, neater, and more accurate way to build web applications? This is exactly what Ruby on Rail does for you. Defining Ruby on Rails, one can say, Ruby is a programming language that works on a framework of tools, components and special complimenting techniques known as Rails. It is best known for helping you build a web application in easiest and quickest possible manner and is popular because of the ease, accuracy, and quickness that it offers. It requires only the half of the time and coding than what is used when an app is created using programming languages like PHP or PERL; it is a favourite of most developers.And since it requires quite less maintenance, several large companies like IBM, Microsoft, Apple, and so on already prefer using it. This is exactly the reason why we recommend you to get your apps build on this remarkable framework. Our team most efficiently handle ROR 2.3.x. 3.0; Jquery or Prototype for Ajax & User Interface development; Passenger Application Server; Nginx/ Apache Web Server; Ruby 1.8.x. 1.92; Git & Github Version control system; MySQL, Postgre SQL Database Servers; mobile application development using RoR; Payment Processing systems like PayPal, Braintree, etc; development for Linux/Ubuntu platforms; deployment based on Heroku and Capistrano; and so on. At Adaptative, we have been serving hundreds of businesses of various types and sizes from across the world with our web application development solutions based on our Agile and Scrum methodologies and helped our clients with developer APIs and most innovative web services development. Our services also include API Integration for Twitter, Facebook, Amazon, Google and the likes. We specialise in E-commerce shopping carts and other E-commerce integration as well as for various payment processing systems like AuthorizeNET, PayPal, Braintree and so forth. We have already worked most successfully in offering Mongrel Cluster and Phusion Passenger based high performance services. With the earnest of our efforts we offer our clients with best of the solutions in quick turnaround time at most reasonable costs and proper after sales support that best fulfills your business goals.